Jack Murphy Ladies Louise Quilted Jacket. 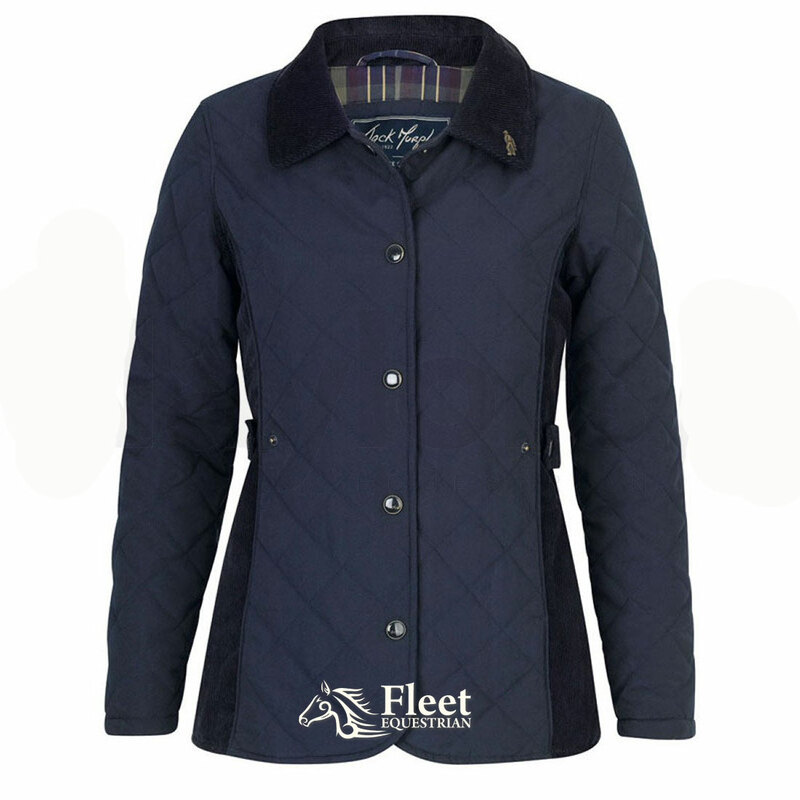 A quintessential country style jacket, with a beautiful feminine shape. The Louise Jacket has a classic check lining and contrast cord detailing at the collar, side panels, back yoke and front tabs. Jack Murphy pin badge at the left collar and the centre front placket has snap fasteners. Other features include hidden pockets on the side seams and waist adjusting tabs with snap fastener to give a better shape and fit. Jack Murphy Clara Quilted Jacket Jack Murphy Buckley Quilted Jacket.